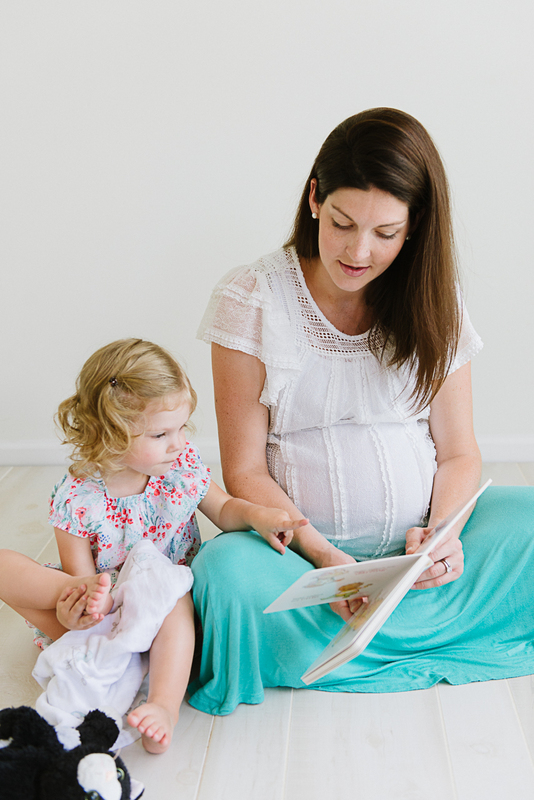 I’m so excited about this guest post from my friend, Leighanna. I’ve known her since 2011; I met her in the first small group we joined after being at our church for nearly two years. Leighanna has 3 little boys (and is due very soon), and she is an example to me in so many ways. While I don’t get to see her in person anymore as much as I’d like, I’m thankful for Instagram and text messaging so that we can keep in touch. 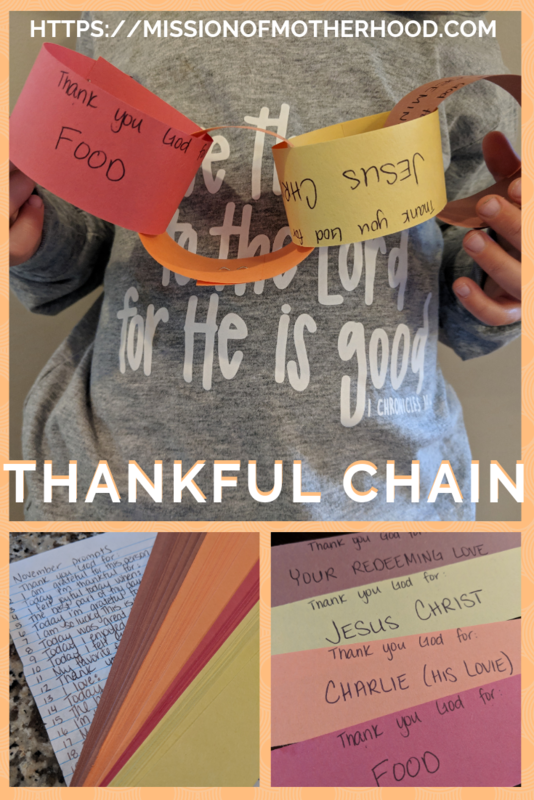 When she shared her “Thankful Chain” idea the other day, I was super excited to try out this activity with my own kids. But rather than reinvent the wheel, I figured I’d let her tell you all about it herself! She’s inspired by Psalm 106:1, “Give thanks to the Lord, for he is good” to teach her boys about thankfulness using a paper chain! Read on. November was a busy month of travel for us. My husband was out of town for work for almost a week, and then immediately after he returned, I traveled by plane across the country to visit my sister who I hadn’t seen in almost 2 years. After we returned from that flight, we all packed in the car and traveled by car 9 hours to PA for Thanksgiving. In hindsight, busy doesn’t even seem to be the right word for all that traveling madness… I’m glad I didn’t have to do all that traveling alone with two kids! Before I had Nora, I traveled alone with Claire quite a bit. I mostly flew, and each time I got better at it. 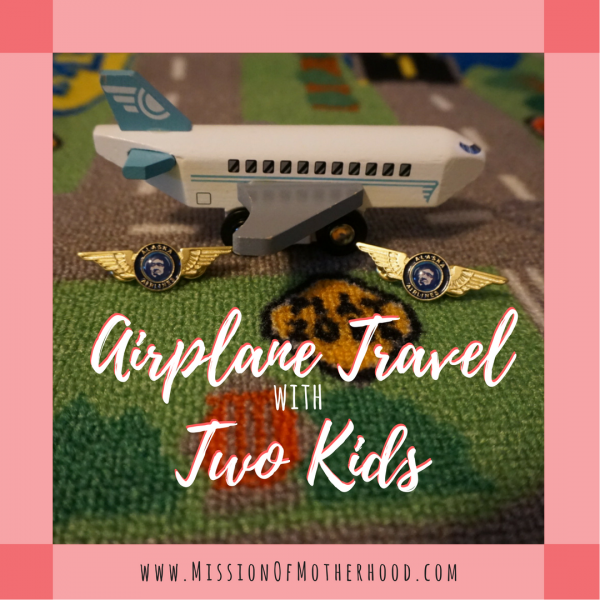 I used what I learned from traveling alone with 1 to hone in on what I would need traveling with two kids, and that became my starting point.